DPT Laboratories, a pharmaceutical company based in San Antonio, Texas, has made amends for violations against manufacturing standards levied by the U.S. Food and Drug Administration. 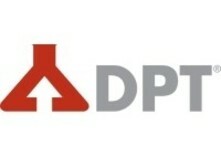 In announcing the FDA’s letter last Tuesday, DPT Laboratories assured federal regulators and the public that the company would continue to provide significant capital to sustain compliance, having already spent more than $40 million to expand and upgrade the Lakewood facility since 2010. The FDA in September released a warning letter, saying the company didn’t properly investigate what caused the sterility failure of six lots of Santyl Ointment, a prescription drug used to heal wounds, that were made at the Lakewood plant dating to December 2010. Regulators also said in the warning letter that they weren’t confident that the initial steps DPT took to ensure the product would be made safely were sufficient. The Lakewood plant continued to operate while it addressed the FDA’s issues. The FDA in a letter dated Feb. 19 said it completed its evaluation of DPT’s corrective actions and found the company had addressed its concerns. Eugene Ciolfi, DPT’s vice president and general manager, is happy the issue is closed and thanks new and existing clients for showing support and renewed confidence in their products. Originally founded in 1938 as Texas Pharmacal Company, widely accepted as the nation’s first dermatology company, DPT is a true pioneer in the Texas biotech sector. At present, the company functions as a leading dynamic contract development and manufacturing organization (CDMO) with a specialized focus on semi-solid and liquid dosage forms.